Living in the Shadow of His Hand: Can We Be Holy? I didn’t get far in my Bible study this morning. I got to the opening page of BibleGateway.Com, and this was the verse of the day. I’ve read it many times, but what does Holy REALLY mean? I looked it up. According to Strong’s Concordance (G40), it means to be “pure, sinless, upright, holy”. Reading further it states that it means “distinctly of God pre-eminently”, “such as a kiss is a sign of the purest love”. But can we mere mortals be holy? The answer, simply put is YES. We have the ability in our own bodies to be holy. Look at Enoch, who walked so closely with God that he didn’t experience death (Hebrews 11:5), but was taken up with God. Look at Job, who is said to have been “blameless and upright, and one who feared God and shunned evil” (Job 1:1). These real human beings, just like we are. They lived lives in this world just like we do with daily chores and jobs, health issues, problems of all kinds, and they were “pure, sinless, upright, holy”, and demonstrated in their lives that they were distinctly of God. Consecrate yourselves, setting yourselves apart, is what God desires of us. 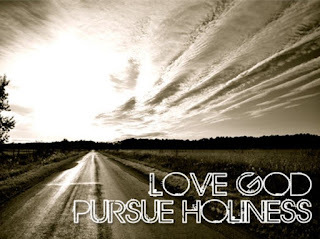 He desires that “you shall be holy for I am holy”. I believe as a people we have chosen to believe this is impossible rather than defining the source of the problem. We do not want to fully obey God. Obedience, at 100%, would be holiness. But in our own wills lies those seeds of sin that we haven’t pulled out of the garden where we grow. We choose to act out on our anger. We choose to be greedy. We choose to be prideful. We choose to slander. In all our sins, we have a choice, and we choose sin. Sanctification is a word we rarely hear. It means to be “set apart for Holy purpose”. The Christian life of growth is supposed to occur in phases. Just as humans we go through the phases of newborn, childhood, and adulthood, we are to go through the spiritual growth stages. We’re to move from justification (being made right with God by Christ, 1 John 3:1), to Sanctification (obeying God’s will and being set apart for Him, 1 John 3:3) to Glorification (face to face with God, 1 John 3:2). What occurs is we receive Christ’s justification, but somewhere along the way we stop in the path of sanctification, choosing our own sinful will over God’s. Grace steps in and allows us to remain His, for we are saved by Grace and not by our works (2 Timothy 1:9). But our growth, like children who are never given proper foods to grow strong and healthy, stops. Friends, let’s all examine ourselves. Are we growing? Or are we frail and unhealthy children? 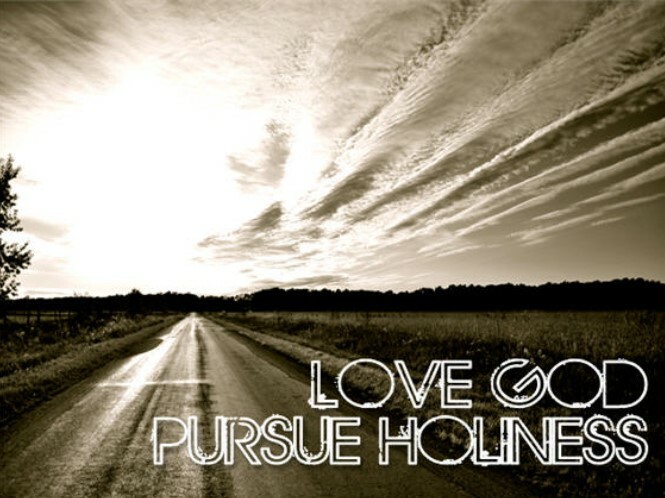 If we’re not growing holier by applying His Holy Word and His Will to our lives, then we’re not becoming holy. While the command may sound impossible, we need to remember that with God…all things… are possible.